I LOVE old traditional quilts! I love the fact that they are usually a bit wonky and the grass roots designs often capture my imagination. I can't always jump in and make my own contemporary version of the old quilts that inspire me but I have been known to do so. 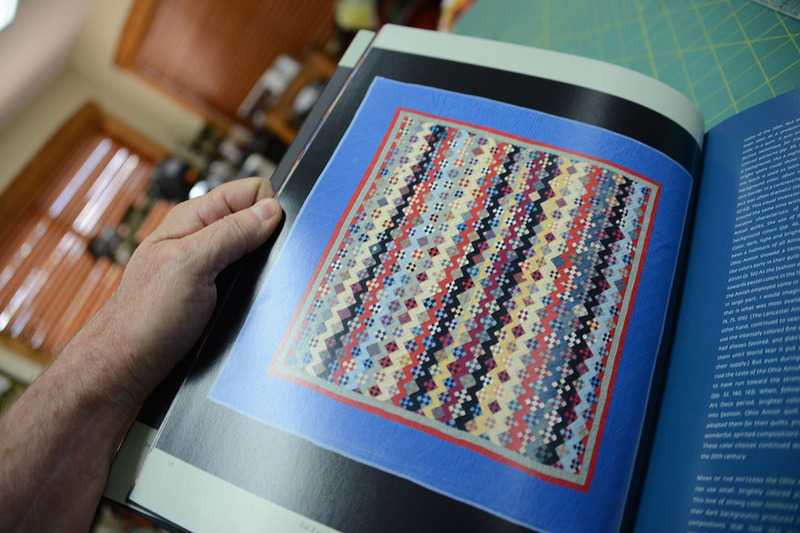 Recently, I discovered an image of an antique Streak of Lightning quilt in a book called The Darwin D Bearley Collection Antique Ohio Amish Quilts (©2006) published by Bernina and Darwin Bearley. It has an introduction written by Johathan Holstein. Inside I saw this quilt. 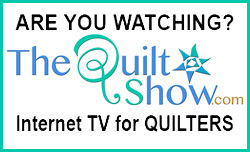 Most of you know my dad quilts. He's quilted since 1991 - we both started the same week - without planning it! Dad will turn 86 in November and this year he has not quilted very much. 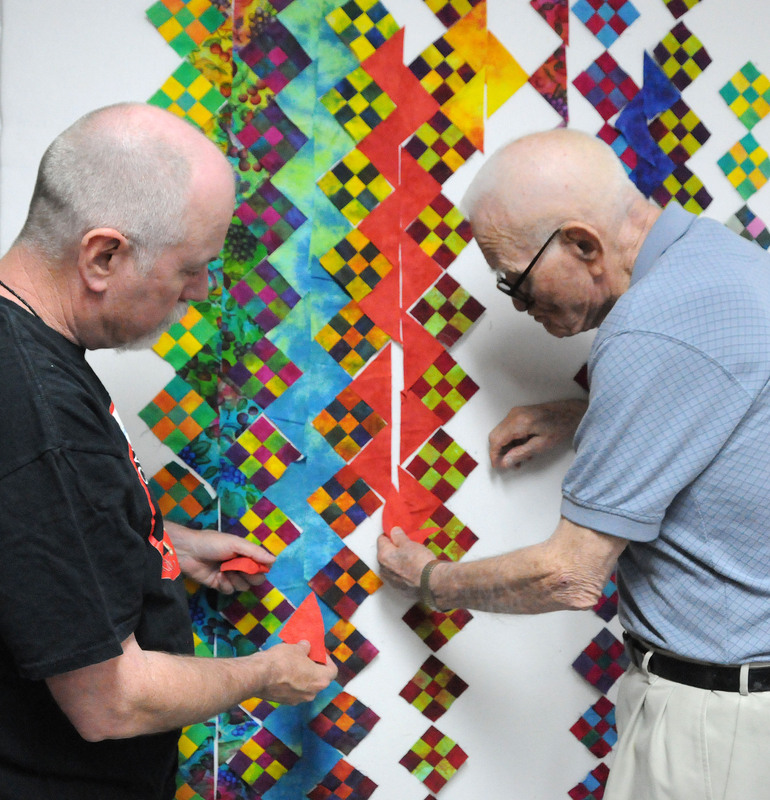 So during my parent's recent visit to La Veta, I wanted to see if he still had his quilting chops. 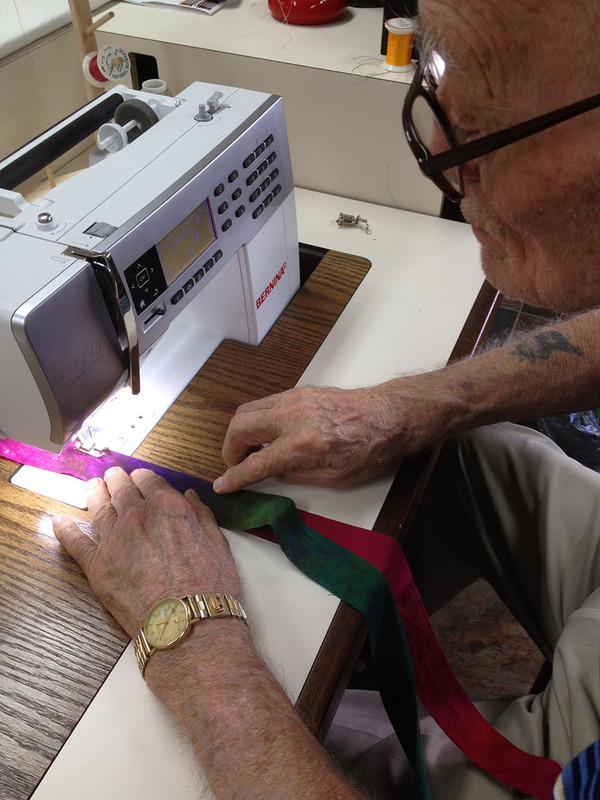 I sat him in front of the Bernina 550 and told him I needed strips sets sewn together with perfect 1/4" seams. He was great! We spent a day sewing and cutting fabric using the Streak of Lightning antique quilt from the book as our guide. At the end of the day we had made a lot of progress. Dad is back home in Texas but today I've had time to work some more on the quilt. I feel it will be very challenge to get the colors right in this one. I want it to be colorful and contemporary because that's just what I do - so I'll keep on working - keeping my fingers crossed it all turns out great. Have you ever taken an old quilt and put a contemporary spin on it? When I was really young - elementary school, I used to assist my grandmother who made quilts strictly by hand. I most enjoyed choosing the tie yarns. As an adult I am just starting to work on a quilt - trying to share with one of our daughters who became left sided paralyzed last labor day weekend to sew and quilt. --- She loves anything of the old heirloom and heritage. We will use the scraps to make quilts for the less fortunate. I love your inspiration & your quilt. I have a bunch of 9 patches from an exchange. It is good you can share time with your father. Treasure the time with your Dad. Think of how much that quilt will mean to you when he is gone. Team sewing is great. I wish my mom was closer so we could do more of it! Love that design and your pick of colors. You are so fortunate to still have your dad to do things with. Lost my parents almost 20 years ago and still miss doing things with them. What a treasure that quilt will be and the memories it will hold. would love to follow the progress of this, you are so lucky. The design wall - better than sliced bread! 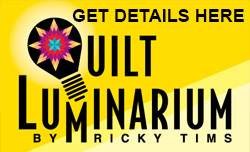 I wish I had a parent who wanted to quilt. Or a daughter for that matter. Looks great. Can't wait to see the finished product. I love spending time with mum playing with fabric...and now in her new sewing room we get Ineka in ther too and it's all 3 generations.... don,t see my dad joining us any time soon. 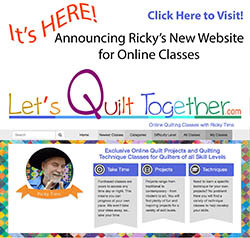 Hey Ricky, about that Bald Mountain quilt.....if u like, I could have fun quilting it for you....add lots more spooky surprises for people to find....would be cool. See u in adelaide mate. 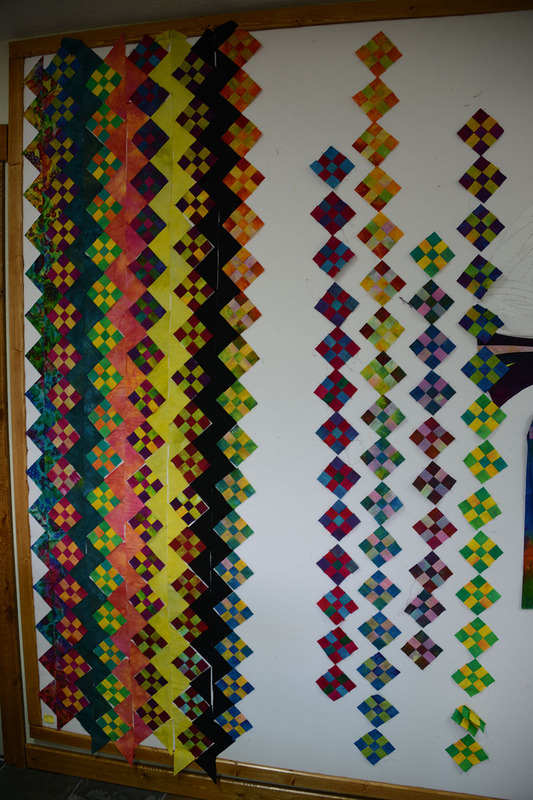 A very ambitious quilt. I know you will be able to make something very special with all those lovely colours you like. I am sure your Dad will love it when it is finished - and you will treasure it always because of his input!